why did you glance back? why did you hesitate for that moment? In 2006, a spacecraft the size of an industrial fridge was launched on a remarkable mission: to zoom past the ninth planet in our solar system and show us its face for the first time. The New Horizons mission to Pluto caught the imagination of the world for a couple of epic weeks in July 2015. 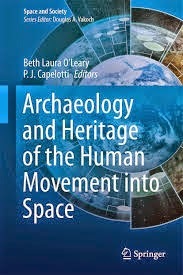 But as the spacecraft continues its journey beyond the formerly elusive and controversial planet and on to the Kuiper Belt, I’ve been thinking about what this means from an archaeological perspective. 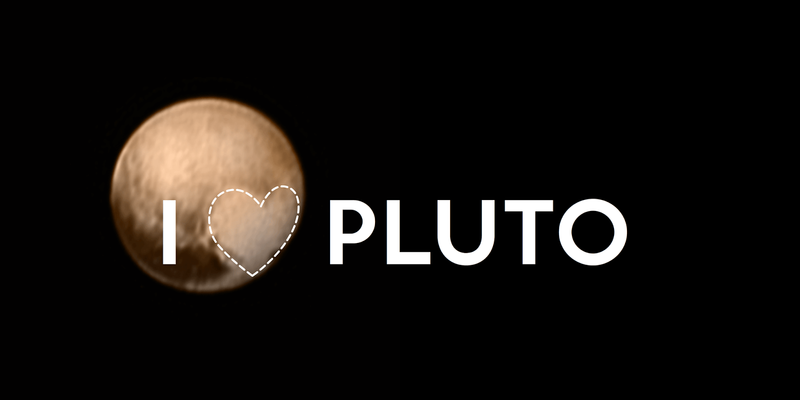 This mission has turned Pluto from a fuzzy disc of reflected light into a place that we can see and read with our own signs and meanings. Already, there’s such a wide range of interpretations. Some are geological – craters, valleys, mountains. Others are geometric: rectangles, lines, circles, shapes, smoothness, spikiness. Then we have the zoomorphs: a whale’s tail, the head of a cartoon dog. 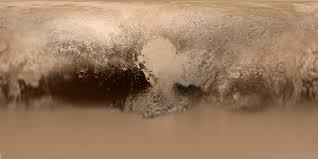 Perhaps the most charming is that which sees the large icefields, now unofficially called Tombaugh Regio, as a heart. We could also look at Pluto from a heritage/landscape perspective. Using the World Heritage Convention’s definitions of cultural landscapes, you could argue that that it is an associative landscape – with no actual physical human traces, it is still the repository of beliefs, dreams, visions and ideas. Some of these relate to its location so far from the light of the Sun. It’s said that midday on Pluto is as bright as Earth after sunset. It is a cold, dim planet, like a deep sea fish that lives and swims in darkness all its life. Since it was given the name of the ancient Roman god of the underworld, the International Astronomical Union has decreed that all place names on it will relate to this theme (which includes exploration). So already we have a set of metaphors and associations that shape the planet in our minds. what was it you saw in my face? Our gaze creates Pluto as a place. I’ve written before about how the process of identifying distinct features and naming them creates a map of values. 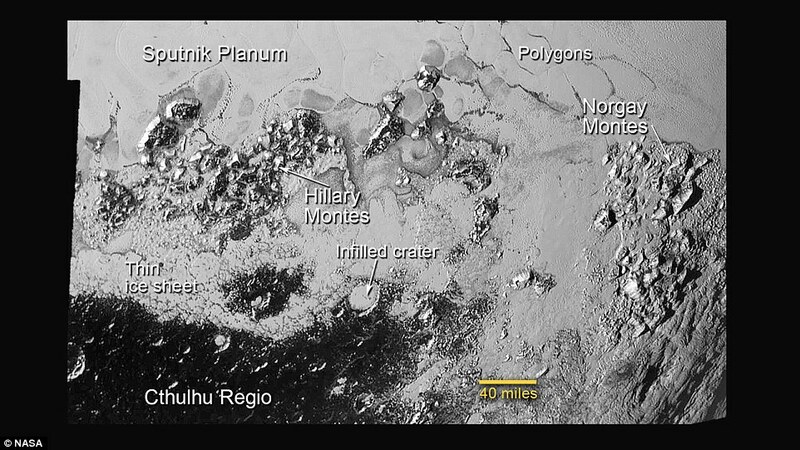 Assigning names to features on Pluto is a colonial process of mastery that draws the dwarf planet into a web of geopolitics. Despite the efforts of the International Astronomical Union to diversify the cultures represented in named things across the solar system, there is still a long way to go. When telemetry showed that New Horizons had successfully completed its flyby, many in the mission control room waved American flags. Nationalism and national prestige are still among the main drivers of today’s space industry, despite the growth of private and crowd-funded space enterprises. As I watched the flag-waving, I thought that, for some people at least, the passage of a piece of space hardware has been the equivalent of planting a flag – as it was on the Moon – to stamp the outer solar system as part of an American colonial landscape. And indeed, one of the ‘cultural artefacts’ on board the spacecraft was also a US flag, in stark contrast to the universal symbols on the Pioneer and Voyager spacecraft. 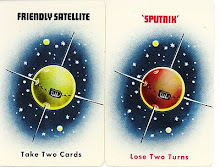 Against this is the discourse of space exploration as a global human endeavour which everyone shares, the undeniable excitement generated in social and traditional media across nations and age groups, and NASA’s always brilliant open access, with all materials available to anyone with an internet connection. Possibly more people than ever before have waited with bated breath for the unique experience of gazing on the face of another planet for the first time, like a distant relative they’d longed to meet. Pluto is a ‘natural’ object that existed for billennia (is that a word?) before there were sentient beings to observe it. But since its existence was first hypothesised in the 19th century, it has become a cultural artefact too. Like an archaeological excavation, the cameras of New Horizons excavated it from obscurity in the darkness of the night sky and brought it into the light. 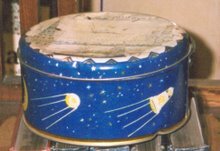 Space scientists and the public speculated about this strange new artefact: what was it made of? How had its surface markings been created? Its composition, history and appearance were compared to other planets and moons to gauge its character and hence the genesis of the landscapes captured by the LORRI camera. Deep time was being decoded from a surface of mountains, ice plains and craters: four dimensions being raised up from two. The images, received as radio signals, converted and processed into pictures that we can view and understand, are a type of heritage or archaeological object in themselves. In one sense they are ephemeral, composed of numbers inside computers. In another sense, their endless duplication and proliferation gives them a digital resilience. Pluto, in our homes and at work, is a place we see and visit through a flat screen, almost as if we are inside our own spacecraft. When we turn off the device, does Pluto still exist? New Horizons only came within 12 000 km of the planet’s surface. No human trace has been left there as a footprint of the Anthropocene. For a fleeting moment, New Horizons was part of the Pluto-Charon system. Perhaps a few molecules of material are left behind in a tenuous wake within the orbit. Now that the spacecraft has passed, there is nothing to indicate that it was ever there, save for the images, words and memories of people closer to the Sun. I’m thinking about this ‘nearly there-ness’ of human interaction. Many planets in the solar system have only ever been ‘flown past’: Saturn, Neptune, Uranus, and until the Messenger spacecraft crashed into the surface in April 2015, Mercury too. Similarly, there are places on Earth, like the deep sea, that we know only from remote sensing, probes, and flyovers. There are also places we could visit, but haven’t yet, like World Heritage sites. We feel it’s important that they exist, even if we haven’t had any personal encounter with them, and many people feel strongly about protecting such places. 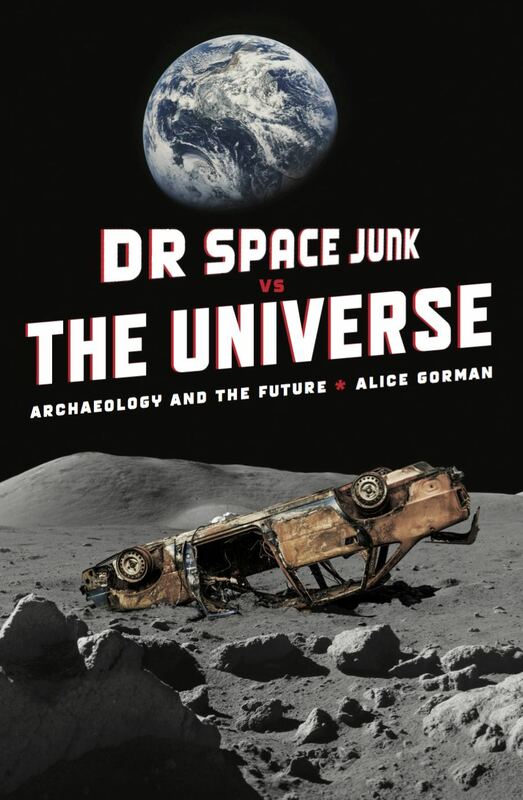 This is what characterises space archaeology too, at least at the present time. It’s all an archaeology of ‘not-quite-there’, where we use historical and proxy data in order to make hypotheses about what lies beyond our reach in space. Can there be an archaeology of the ‘not-quite-there’? How do you analyse something you can’t touch? It doesn’t bother planetary scientists: few of them will ever have anything other than data acquired from remote sensing. 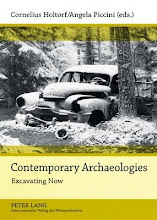 But as Matt Edgeworth has pointed out, archaeology is made of human dimensions. We dig using our bodies: the artefacts we scrutinise are made to fit in our hands, accommodate similar-sized human and animal bodies. This is partially why the pyramids, and other such wonders of the ancient world, seem so extraordinary and even, to some, alien. Their scale seems to defy the human capacity. In the modern industrial world, there are many such structures: bridges, buildings, mines, rockets, giant offshore gas rigs. Of these objects, Edgeworth (2010:140) notes that 'The sheer scale...is such that it is impossible to fully grasp either in a visual or tactile sense - to see all of it at once or to touch more than a tiny part of it'. John Schofield, an archaeologist, and David Jenkins, a physicist, have written about the vast differences in scale between sub-atomic particles and the deep galaxy maps that almost show the beginnings of time, all coalesced around the CERN research facility on the border of France and Switzerland. This massive complex of buildings and installations, where the highest of high science takes place (such as the confirmation of the existence of the Higgs Boson in 2012) also contains dilapidated chairs and shabby rooms, forgotten corners where an archaeologist finds the empty space redolent of human presence. In a recent conference paper, I mused about the solar-system-scale Matrioshka Brain and how humans might interact with it as ‘natural-born cyborgs’. Something incomprehensibly large and complex, whether ‘natural’ or ‘cultural’, can still be held in our minds when it is what is called transparent technology: we use it intuitively, without thinking, as an extension of ourselves. This is pretty much what smart phones and other devices are for us now. We're not aware of the vast network of infrastructure that supports them, from satellites to the tiny chips inside - we use them as an augmentation of our bodies. So what are we to make of this? At the end of this disquisition, I'm left with the feeling that we're becoming very good at bridging these differences of scale. Spacecraft like New Horizons give us dimensions of both time and space to get our heads around. They present the act of focusing, through the feeble jellies of our eyes, as a temporal act. We draw closer and closer to the planet's surface, like the process of focussing a microscope objective, and when the object precipitates into our field of view, we assess, name, categorise, analyse - and dream. Pluto becomes part of our personal solar system, the full extension of our gaze, and we are one step closer to becoming truly cosmic. And then we stumble through and past, like Orpheus, and turn our gaze elsewhere. Note: the full text of HD's extraordinary work Eurydice can be found here.